Coming of age as I did in 1980’s England, I always look back with plenty of nostalgia at that time: few responsibilities, lots of free time, great fashion (! ), fantastic music, the belief that the world was our oyster… I just loved the whole thing, and so when I found a book that was about that time by someone who’d been around the same age and was English, I leaped at it. Not only was this by a peer from that time and in England, she had been as lost (future-plan-wise) as I had been, it was funny, and then — delirious joy — it was epistolary to boot. “Love, Nina” follows the true story of a new nanny who has been employed by the then-editor of the London Review of Books who lived smack in the middle of London. 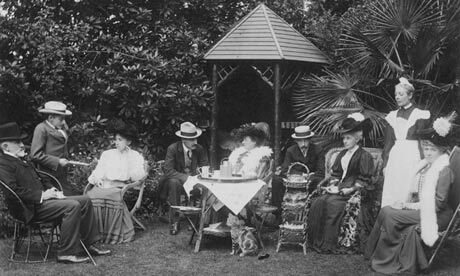 The family was small, but the foot traffic and visitors through the house whilst she was nannying was chockfull of literary and arty superstars: authors, screenwriters, and all manner of other creative types would regularly come for a cup of tea, and all recounted in a series of letters sent by author Nina Stibbes to her sister in Leicester. Author Deborah Moggach (who was also a neighbor up the street from the family) described this read as “Adrian Mole meets Mary Poppins mashed up in literary London…” and I think this analogy hits the nail on the head. As the book is written from Nina’s own POV, the reader goes through some of what Nina experiences and thinks, and TBH, it was hilarious in places. So, nothing heavy in this read, but it was a very funny nostalgic visit to UK in the 80’s. I really enjoyed this book, and gobbled it down over one weekend. Highly recommended for anyone who lived firsthand through that fabulous decade and who is looking for a good solid read that makes you snigger with recognition on a hot summer day. So February was African-American History Month, and as usual, it was a month of learning loads of new things for me as I engaged in reading focused on the lives of African-Americans and POC. As usual, I enjoyed the heck out of it so I’ll definitely be doing this again next year. And February was a fun month! I’ve learned a lot about the world in which we all live and opened my mind with some (helpfully) challenging reads. Definitely going to continue reading more diversely this year as I’m really enjoying the whole thing. What a complete joy this little read was. It almost popped my socks off in its charming-ness, and I’d like everyone who reads this blog post to leave right now and get yourselves a copy somehow. It’s that lovely. If you’re familiar with any of Hanff’s writing, you’ll know that she writes in a breezy optimistic style about the minutiae of living in New York as a self-employed writer. (Interestingly, there is not a lot of talk about her actual writing. Lots more focus on her life and what Hanff notices around her, which to me is a lot more fascinating in this particular case.) She’s very down-to-earth, has an interesting group of friends (with their dogs), and lives a full life of museum visits, concerts, and stories about her own particular neighborhood. The columns are organized month by month and cover about three or four years, so the reader is taken through the seasons. She is such a good writer and really engages her reader in her slice-of-life descriptions as she recalls them here. I bet that this could fall into the epistolary category as well, as each column reads as though it is a letter from a favorite auntie (or similar) just to you. As you can probably surmise, I adored this quick read and think others of you might as well. Seriously – one of my favorite reads so far this year. Although this was a reread, it was a reread from A Long Time Ago and so it ended up being more or less a New Read in the end. And this was fine, as I loved this book. I know it was written in the late Victorian era, but it was so funny that I burst out laughing at times which led to some strange looks when I was on the elliptical at the gym. I couldn’t help myself though, and TBH, it was that funny to me that I can neither confirm nor deny that snorting out loud did occur in public. Laurels House – the home of the Pooter family. This is a fictional diary of a lower middle-class man living on the outskirts of London, married with a grown-up son and a wife who loves him despite his flaws. (He doesn’t acknowledge these flaws though…) Charles Pooter is the diarist, and he lives a modest existence as a city clerk in an office where he’s been working for the past 20 years without much professional recognition, and he begins journaling as he secretly thinks that someone somewhere will publish his diary for its literary worth. He’s a nice guy, basically, but has some insufferable snobbish airs which stem only from his own personal social insecurity and not from malice. Adult son William (and then later called Lupin) is rather a gadabout creature who drinks, gambles and makes somewhat brash decisions, but who receives the general adoration from his parents (which becomes somewhat tempered after Lupin movies in to his childhood home due to losing his job). Wife Carrie is portrayed as a sweet Victorian wife, but readers can see (through Mr. Pooter’s diary descriptions) that perhaps she is not quite as quiet and adoring of her husband as he writes. It’s all very farcical, but done in such a way that it’s fresh and still very very funny in parts. Mr. Pooter’s diary chronicles about 15 months of his life and details his thinking about his life in London as a clerk and the sometimes hilarious social misfortunes that occur to him, typical things that happen to anyone but which, when they happen to Mr. Pooter, can completely shape his day and how he sees it. It’s a little bit like reading Basil Fawlty’s diary (if you remember that TV series). He does his best, but things consistently go wrong for him. Despite this, his family still loves him all the same. 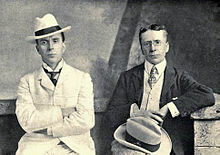 (L-R) George and Weedon Grossmith, authors. 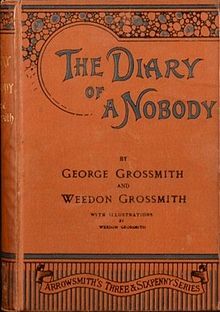 Written by brothers and stage performers, Weedon and George Grossmith, this book was first published as a series of excerpts in Punch, and was popular precisely it skewered most of the typical routines of its audience and the increasing social expectations of a booming lower-middle and middle class. However, it wasn’t an instant hit, but its popularity grew over time and since it was first published, this title has never been out of print. It’s also been the influence of other fictional diaries that have since been published: Diary of Adrian Mole series (by Sue Townsend), Bridget Jones’ Diary series (by Helen Fielding) and in other media forms, there’s a clear influence of Mr. Pooter’s ilk on TV shows such as Fawlty Towers. Interestingly enough, Hugh Bonneville (who plays Lord Grantham in Downton Abbey) was given rave reviews for his time as Mr. Pooter in a 2007 BBC dramatization on BBC Four. I wonder if that’s available on-line somewhere… I’ll check in the future. Suffice to say, this was a very fun read and I’m really glad that I picked it off the TBR shelf. Highly recommended. This will be added to my Epistolary Novels post for certain. 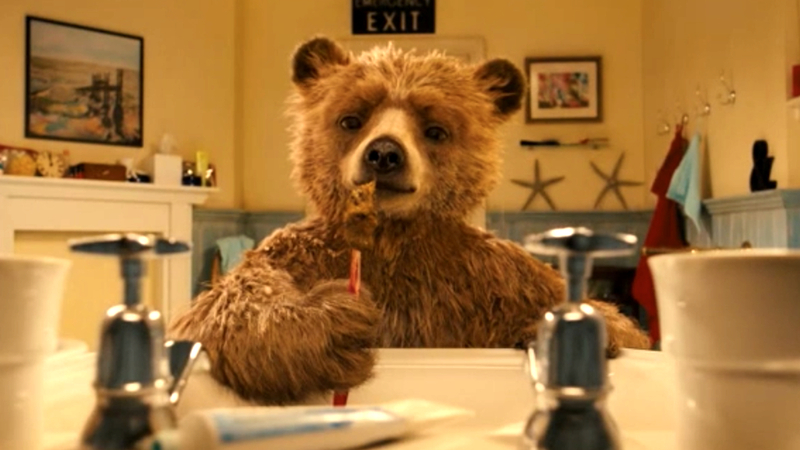 Random note: Speaking of Hugh Bonneville, anyone going to see the new Paddington movie? So – you know how it is… When you’re having people to stay AND go out of town AND reach a stopping point at work, that’s when things pile up. And thus it was with me, so in order to clear the decks a bit, I thought I’d do some mini-reviews on some of my reading lately. It’s written in an epistolary style and is structured from several different viewpoints of various characters, all of whom have been involved with the mystery of the disappearing Moonstone, a valuable jewel with a long history starting in ancient India. It’s such a good read (shaggy dog story though it is), that I loved it and despite the never-ending page count (and my aversion to such), as it was on Kindle, it worked out fine. If you’re in for a gothic sensation novel full of mystery and suspense, this will be a good read for you. 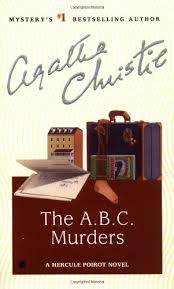 And then I blitzed through another Agatha Christie – “The ABC Murders”. Not much to say about this, except it was the usual quick read with the expected red herrings etc. Good though and how Dame Christie managed to churn out the amount of writing (and most of it well done) continues to amaze me. 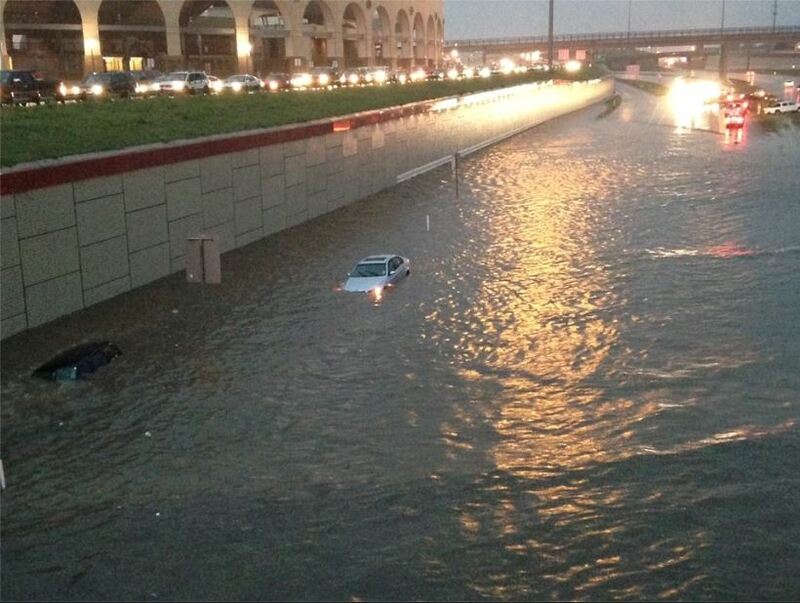 Flooding in Lubbock, TX, recently. Credit: KCBD-TV. Speaking of weather, I’m getting ready for a trip to the Albuquerque Balloon Festival taking my English mum along with me for the ride. Looking forward to some lovely times and some fantastic photo-taking of the balloons. The colors can be fantastic in the mornings when the balloons first take off and at dusk when the balloons glow. 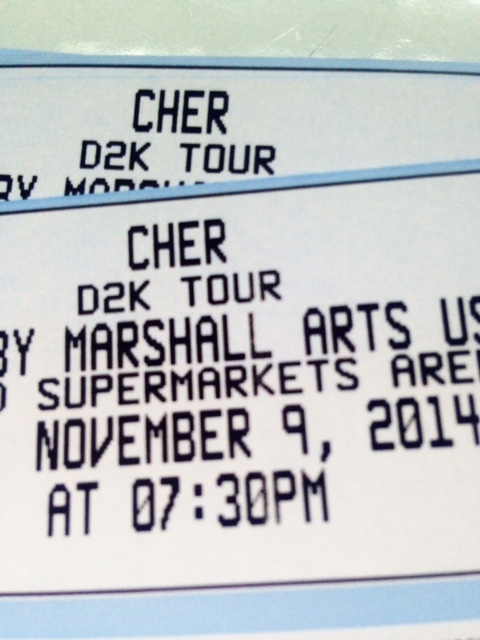 And, music-wise, I’m counting down to the upcoming Cher concert! I know – Cher’s old, blah blah blah – I get it. However, Cher is a consummate concert-giver and the last concert I saw her is definitely in my Top Five Favorite Concerts Ever. Her costumes (and the number of different ones) are amazing. Plus her voice is still spectacular. Looking forward to it. I know no mood of Nature’s that I do not love—or think I do when it is over—but for keenness of feeling, for stinging pleasure, for overflowing life, give me a winter’s day with the first snow, a clear sky, and the thermometer ten degrees Réaumur below zero. 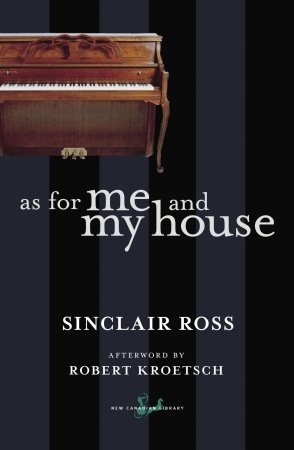 Just before Roger leaves their house to return to England, the reader learns that the pair had confessed their love for each other, but due to class differences et al., they had sworn to keep their love secret until Roger has told his father. The structure used by von Arnim to only show the letters of Rose-Marie to Roger (and not his replies) works extremely well as you, as the reader, become much more aware of how one-sided the relationship is at times. Just like the protagonist of “Elizabeth and her German Garden” (1898) and the women in “Enchanted April” (1922), Rose-Marie is witty and clever academically (although with little chance for continuing education apart from books). Although she is portrayed as something of a rural outsider, she is emotionally intelligent, much more so than Roger, and it is she who really holds the reins of their friendship right from the beginning (once the blossom of young love has faded). Rose-Marie is not the traditional wilting heroine of the literary world. 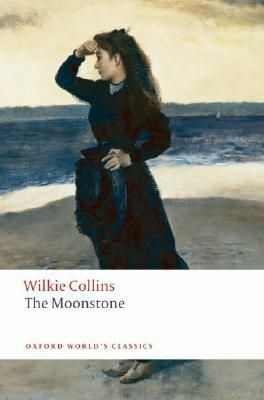 She is independent, she designs her own life in her own way (only limited by money, really), and she has a caustic wit which surfaces frequently throughout the novel. I really admired her no-nonsense approach to the impractical Roger and his roller-coaster emotions, and so when I came to the end of the book, the ending was perfect for how the story and the characters had been built. I turned the last page and sighed with satisfaction. That good. Just loved this one, and it’s available on girlebooks if you’d like to read it. 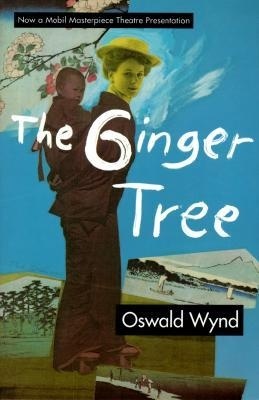 Poking around the older interwebs, I came across this title (The Ginger Tree) from another discussion with some fellow book readers, and remembering it was in the forgotten depths of my TBR shelves, I pulled it out. What a treat. One. This is epistolary and you know I likes me some epistolary novel every now and then. Two. It has a Feminist-Lite slant to it (despite of it being authored by a man – not that guys can’t relate to female characters, but this was really well done). I like some good Feminist reads. This is the tale of Mary MacKenzie, a young Scottish lass who travels with her chaperone to the Far East and China to marry an only vaguely known fiancé who is working out there as a military attaché. Mary is young on many levels, just not with years, and so there is a lot of learning that goes on as the narrative progresses. Mary learns to discard the old manners and expectations of her bossy mother in Scotland, a freedom initially symbolized by Mary refusing to wear her corsets as her voyage takes her into hotter and hotter climes. Her freedom is also exponentially increased when her chaperone unexpectedly dies during the crossing, leaving Mary free to make her own friends. This was her first real taste of independence and she loved it. So – this is a love story – girl meets boy type – but this has a big twist in it. Mary marries her fiancé but ends up having a relationship with a Japanese nobleman – a move which affects her for the rest of her (and his) life. Being so far from home can be exhilarating freeing at first, but when you are alone, divorced, and pregnant from a high class wealthy man who is already married, things start to get complicated. It would have been very easy for Wynd to just write Mary as having an epiphany from her experience and turning it around into some other transformative experience, but he doesn’t take the obvious route. Mary is difficult as a person – she wants to fit in with the Chinese and Japanese cultures, but can’t seem to find a place to settle between her Western upbringing and her Far Eastern present, and so frequently is stuck in the Outsider position of both cultures. The author, Oswald Wynd, had lived in China and Japan for many years, some as a POW in a camp in Malaya in WWII, and you can tell that he loves and respects the cultural differences whilst also acknowledging that these cultural differences can provide long-term barriers to both the Westerners and the Easterners. This is a far-ranging book, time-wise, covering the beginning of the twentieth century through to WWII, as the world grows and changes so does Mary. Another reviewer pointed out that although The Ginger Tree presents itself as a Feminist-Lite narrative (and the protagonist recognizes the lack of gender equality in the different cultures), she still allows herself to get treated as a doormat. I suppose her lack of assertiveness, in this situation, was that she may have felt that she didn’t have many choices: she was divorced, with two children (one of whom had been taken away from her and one of whom was obviously of mixed parentage), she had had a romantic relationship with a nobleman, and she had no money, no job and nowhere to live. Going back to Scotland was not really an option when there is no communication with her family, and with no money, how would she get there? When one reviews her life in those terms, then it’s easier to empathize with why she did what she did. She’s not the most likeable character in the world, but she is humanly understandable. PBS Masterpiece has the TV adaptation of this on-line – wonder how good that is…? 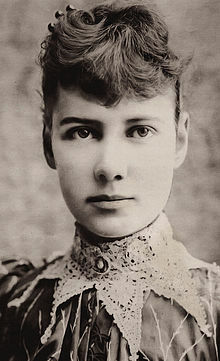 In the late 1880’s, a young journalist called Nellie Bly wanted to make her mark outside the usual writing restrictions accorded to most women journalists back then. (They were usually limited to the Society page and rarely given any hard news to cover.) 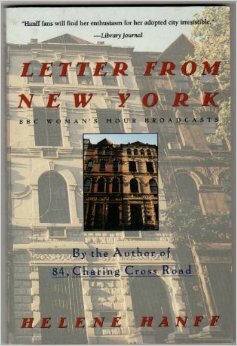 Her editors at the New York paper The World agreed with her and so she got herself admitted to Blackwell Island (also called Welfare Island, and now called Roosevelt Island) which was America’s first municipal mental hospital. Bly wanted to prove her worth as a journalist and decided to do an expose on the conditions at the hospital and believed only by becoming admitted as a patient could the truth come out. Printed as a series of first-person narrative articles, the resulting coverage was explosive for that time and for Blackwell. Originally intended as a state-of-the-art mental institution “devoted to humane and moral rehabilitation of its patients”, funding had been cut and care had been reduced to bitter and sadistic staff and unsympathetic doctors who simply ascribed any patient claims to sanity (and thus release) as delusional. A very Catch-22 situation for all the female patients who were imprisoned there and with little hope of freedom in their future. 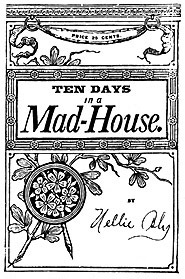 Bly’s detailed account of her time at Blackwell as a mental patient are harrowing to read about – patients were stripped of clothing in corridors and publicly humiliated by the nursing staff, mandatory cold baths in dirty bath water, and appalling living conditions (little heat, poor nutrition, no activities). It’s also notable that all the patients were female and mostly poor (some couldn’t speak English) and so were powerless in this system of neglect. Any patient who stood up for herself (and the other patients) or who proclaimed her sanity was invariably labeled delusional and so hospital stays to Blackwell became hamster wheels of no release for nearly all the patients imprisoned there. Once Bly’s stay was over and she had been formally released by the newspaper’s attorney, the story went public, and one month later, Bly was giving details of her experience to a Grand Jury who then visited the hospital themselves. Prior warnings to the staff had helped to clean up the place and the patients, but Bly’s report lead to recriminations from the hospital doctors and to a fast-tracked funding increase of $1 million (enormous at the time). This was a fascinating read, and was nicely complimented by my earlier reading of “Mad, Bad, and Sad: A History of Women and the Mind Doctors” by Lisa Appignanesi. (No post on that, but definitely not a reflection on the quality of the book or the author.) The treatment of mental health has come a long way in the past one hundred years or so, and Bly’s work helped to propel some of that change. So, perhaps not everyone will appreciate this quiet but desperate epistolary novel from the perspective of a reluctant preacher’s wife stuck in a small town on the Canadian prairie. Although married for twelve years, Mr. Philip Bentley and Mrs. Bentley (no first name given) are unhappy – not unhappy enough to do anything drastic to change the situation, but unhappy enough to isolate themselves from each other. It was written in 1941 and is set during the Depression, so life is hard enough in the prairie but really hard if you’re a preacher and his family who are dependent on others for your income, your house, and everything you need. It is this sense of powerlessness that surfaces the most, I think. The husband feels powerless in that he doesn’t really want to be a preacher and is not happy in his relationship with his wife, but sees no other way to support himself (although he’s dying to be an artist). His wife, unhappy in the marriage as well, sees no other options to escape her life: she is doomed to be the supportive “preacher’s wife” out in the middle of nowhere in a community of narrow-minded people with whom she has little in common. And everyone has secrets that they’re not telling. Compounding this is the fact that the couple has no children (although they would have liked to): they had a son early in the marriage, but he died, and since then, the two have sealed themselves from each other, both unhappy but refusing to really talk about it. The Bentley’s impulsively adopt a 12-year old orphan from the rougher side of town, both secretly hoping that this new arrival will be the solution for their unhappiness. However, it’s not to be. The child is Catholic, the town (and the preacher Protestant), and so this causes a rift in the community. Alongside all this is the drama of both the husband and the wife having affairs of different degrees with people in town, and as this is written from the PoV of the wife, you only read her perspective of the situation. It’s like hearing one side of a phone conversation, but there is enough info to piece the story together without frustration. 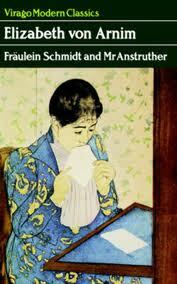 This book has been criticized for being slow-moving and boring. It’s true that there is not a lot of action actually happening, but it’s not that sort of book at all. It’s a contemplative story about domestic unhappiness and unfulfilled ambitions. It sounds terribly depressing, and it’s not a happy read, but it is a good read. Perhaps the unhappy reviewers mentioned earlier are younger and do not yet understand or empathize with goals unreached. I do think this book would be wasted on the teenager set, not because they are uneducated and idiots, but because their life experience has not allowed them to actually have these events occur to them, generally speaking. How can you understand being trapped in a relationship or a job when you still have the optimism of youth on your side? It was clear and glittering today, and when the sun went down the frost-mist made the sky up nearly to the zenith red and savage like a fire. I watched it with [the dog], huddled cold against the grain elevator. A team and sleigh went past while we were there, the horses snorting at the cold and blowing little clouds of steam. The bells and creaking runners left a white cold silence for a minute, like a field of snow that no one has left a footprint on; then a coyote somewhere loped across it with its fluty howl, and [the dog] bristled up his back, and pressing close against me bayed off after it in floundering pursuit.